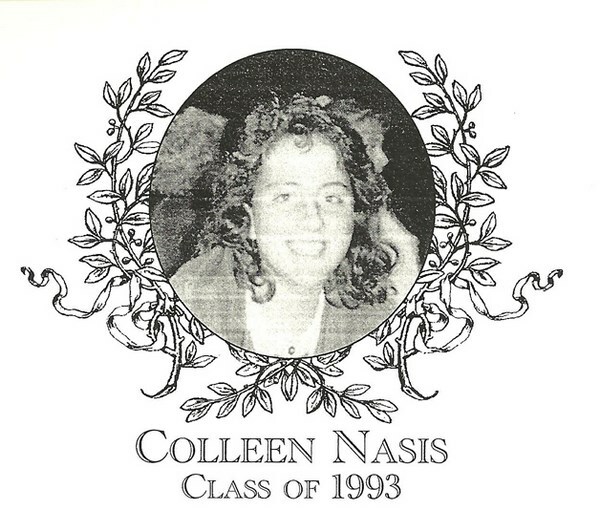 Colleen Nasis, a 1993 Bartlett graduate, played three sports for the Indians. She was a tenacious dedicated member of the soccer, basketball, and softball teams. Colleen was a four-year defensive starter for the girls� soccer team and was known for her toughness and constant hustle. In her senior year, she was named captain and was also named a Border Conference All-Star. Colleen continued through the winters as a member of the varsity basketball team for three years, playing both point and shooting guard. On defense, she was a tenacious defender. In her senior year, she was named one of the tri-captains. Once spring rolled around, Colleen would dust off her glove and gear and head out to the softball diamond. She was a four-year starter for Coach Jack Joyce, playing both outfield and catcher. Colleen was a captain her senior year and was awarded the Unsung Hero Award for both her sophomore and senior years, three Border Conference All-Star awards and earned the BHS Sportsmanship Award. Particularly noteworthy was the fact that she only committed one error over the year period. Colleen attended Nichols College where she continued to play soccer and softball for the Bison. She was named to the Northeast Women�s Athletic Conference Athletic All-Star team for her freshman year and was a three time member of the Commonwealth Coast Conference All-Star team. In softball, she made the CCC All-Star team for three years as well, and was recognized with the Nichols College Outstanding Junior Athlete Award. After graduating, Colleen moved on to coach the soccer and softball teams at Nichols College. She now resides in Dudley and is a teacher and varsity softball coach for the Green and White of Bartlett High School.